Posted by CNC Reporter on Jan 14th, 2012. The best thing about a new year is new products. 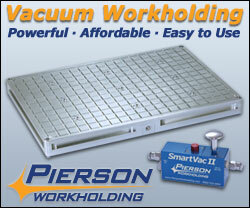 Pierson Workholding has expanded their SmartVac II product line with new vacuum chuck sizes. Sizes are 9 x 14, 13.5 x 13.5 and 13.5 x 20. The 13.5 x 20 size more than doubles the size of the original 9 x 14. 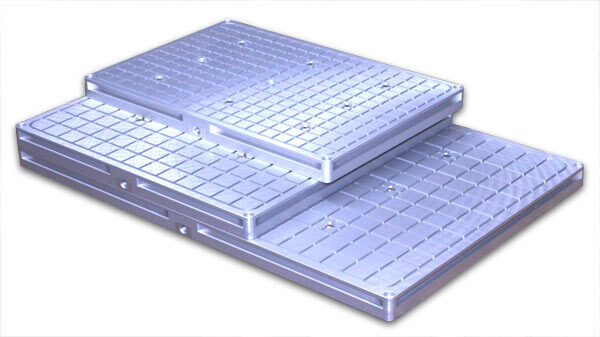 Optional top plates are available for all chuck sizes as well (Top plates are used when an operator wants to create a custom gasket pattern to hold odd shaped or multiple parts). 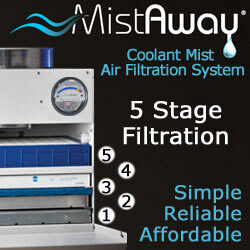 If you missed our original post on the system, click to learn more. The chuck sizes come in discounted starter packages ranging in price from $995, $1195 and $1495. 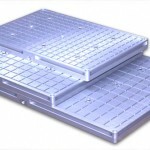 For more information contact Pierson Workholding at www.piersonworkholding.com. Pierson Workholding is also a leading supplier of Vacuum Chuck Workholding Equipment.